Hugh Warwick, "Why Hedgehogs are the most important Animal on the Planet"
Hugh Warwick, England. "Why Hedgehogs are the most important Animal on the Planet"
We are delighted to announce that Hugh Warwick is our VIP Guest Speaker. Hugh is joining us on the Saturday and speaking about Hedgehogs where he is representing the British Hedgehog Preservation Society. 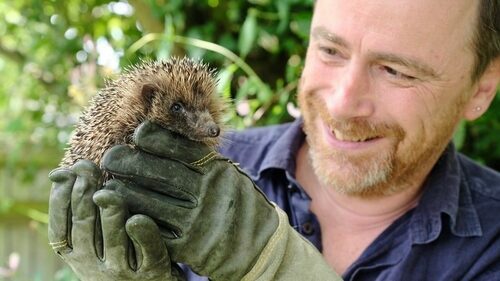 Hugh Warwick is an ecologist and author with a particular interest in hedgehogs. For over 30 years he has been investigating the lives of these magnificent creatures. He has counted, radio-tracked, rescued, and campaigned on behalf of them. He has written two books about hedgehogs, is the spokesperson for the British Hedgehog Preservation Society and appears regularly as a commentatot on TV and radio. Why hedgehogs are the most important animal on the planet. This is a pretty grand claim to make for the humble hedgehog, but in his talk Hugh will explain why there is far more to the hedgehog than meets the eye. He will also explain the reasons why the population is declining so dramatically - and most importantly outlining the simple steps we can take to help pull the hedgehog back from the brink. Hugh is joining us as our VIP Gala Dinner Speaker on the Saturday evening with his presentation of " The Beauty in the Beast"